When asked to scan texts, students often apply one strategy they know. Some are good at it, others not. When we have a mixed class it can be useful to discuss different approaches, so that the less successfully scanning students can learn from the more successful ones. 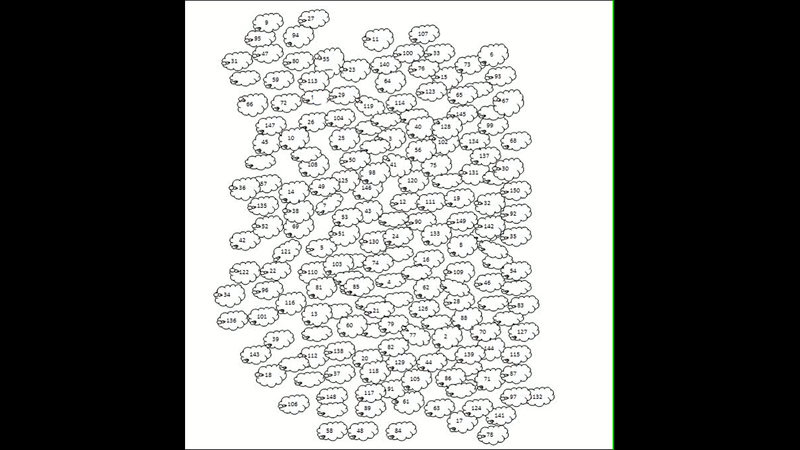 In this activity, we work with pictures of numbered “sheep” (or clouds or any other objects you like). Students are given two minutes to find as many sheep as possible – starting with the number 1 and going on in a numerical order. If, for example, they have all numbers from 1 to 15, their result is 15. However, if they have all numbers from 1 to 15 with the exception of the number 6, their final result is 5. After those two minutes, we ask those who found the highest numbers to explain how they proceeded – in other words, to share their strategies. We should try and elicit as many different individual strategies as possible, since learning about a variety of approaches is the aim of the task. We can also use a second task. This time, students are distributed a text and given two minutes to scan it a find some specific information. Then, we can discuss if they tried and used new ways of scanning they learnt from their peers. We can also compare and contrast scanning of objects and scanning of texts.